Innovative outdoor products built to last. Convenience, safety and security at your fingertips. 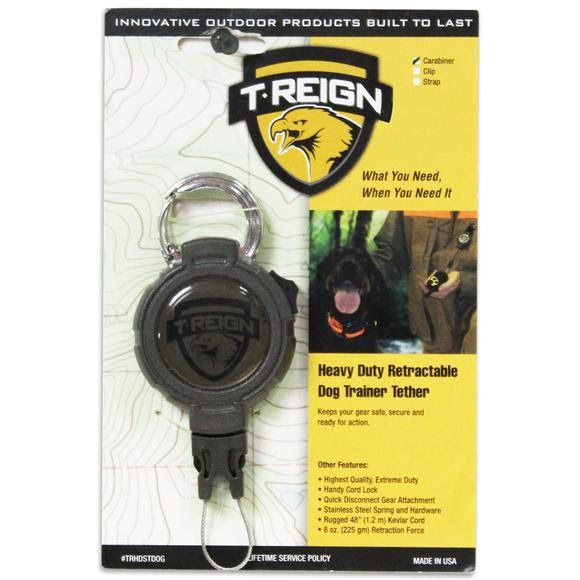 The T-Reign Heavy Duty Retractable Dog Trainer Tether features a quick disconnect gear attachment.